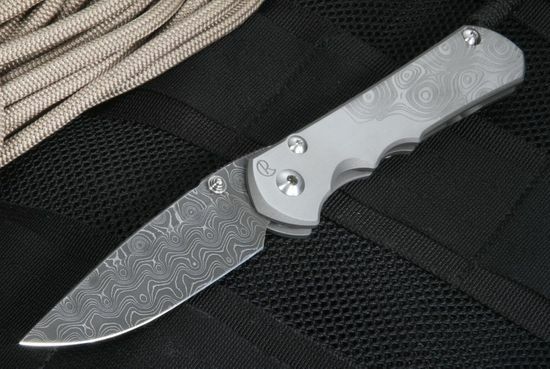 Known for their durability and breath-taking design, the Chris Reeve-designed Sebenza 25 Damascus Raindrop folding knife elevates the Chris Reeve Knives brand to a whole new level in celebration of the Sebenza model's 25th anniversary. 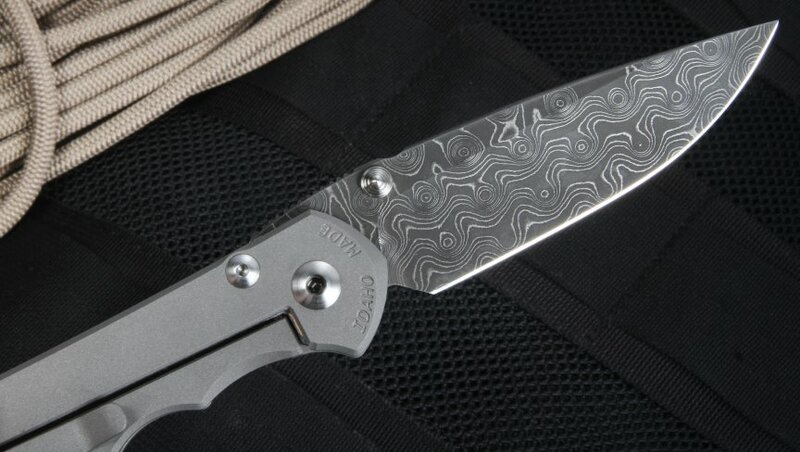 Made from top quality materials, this 5.2 ounce folding knife combines strength and beauty in a Damascus steel blade to create a knife that is just as at home in the field as it is as a collector's showpiece. 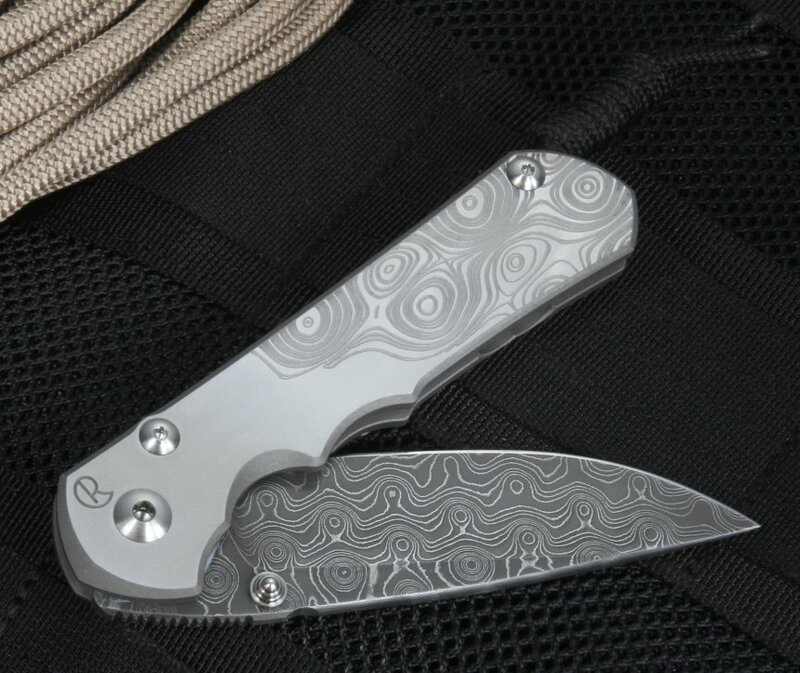 The 3.6 inch blade features raindrop pattern Devin Thomas stainless Damascus steel with a design machined onto the 4.75 inch titanium handle to match the blade. The superior blade thickness combined with the popular drop point blade shape in the Sebenza 25 provides a more robust folding knife than previous Sebenza models, but still remains durable and lightweight through the use of a titanium handle. The handle on the CGG sebenza 25 has a matching raindrop pattern machining. The flats of the knife are satin finished with the CGG pattern with a blasted finish. With dual polished thumb studs on each side of the blade, the Sebenza 25 allows for easy right or left side opening with a shaped phosphor bronze washer present on the lock side to keep the blade in place and stable once opened. 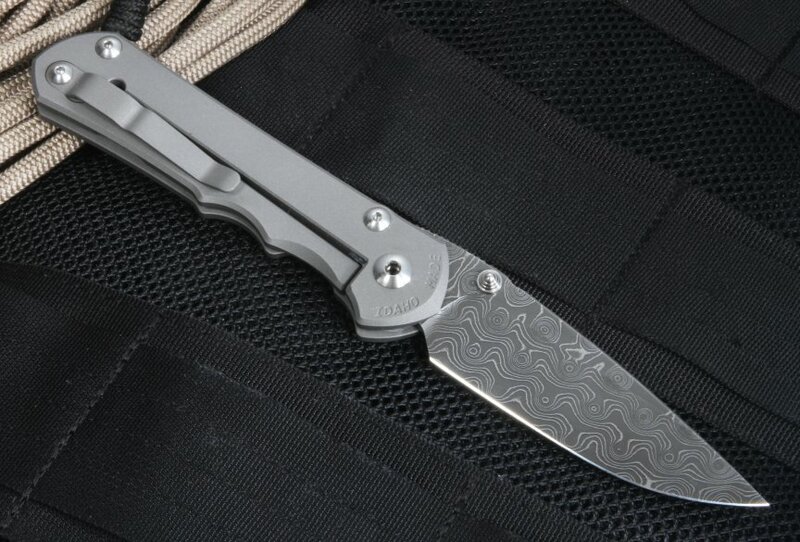 In combination with the integral locking mechanism that Chris Reeve pioneered, revolutionizing the stability of the folding knife forever; there is no question as to why the Sebenza is considered the new standard in hard use folding knives. When you are ready to make a purchase, we guarantee customer satisfaction with each order and offer the highest quality of customer service. Knife Art orders are guaranteed unique and brand new out of box, and if the Sebenza 25 isn't the knife of your dreams, return it and we will help you find the best fit for you out of our extensive collection. 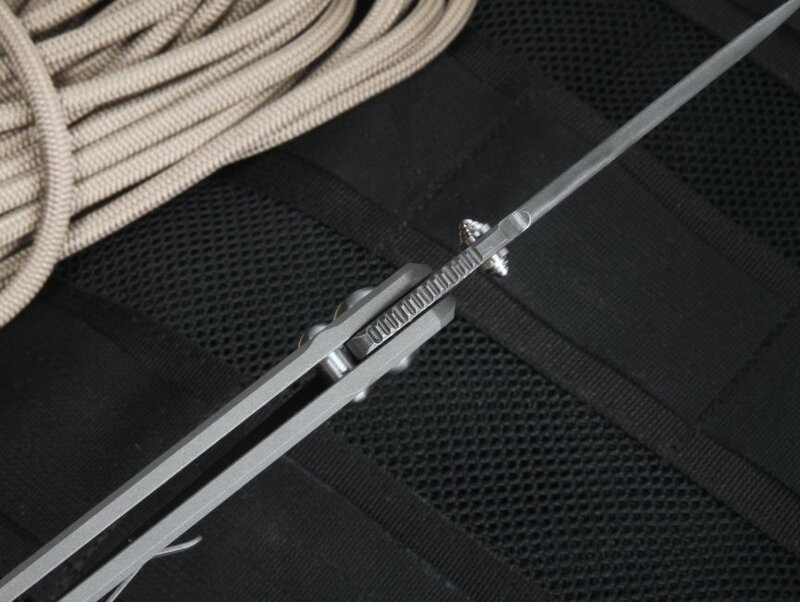 The knife comes with hex tools for disassembly and cleaning, loctite, CRK fluorinated grease, leather pouch and a chamois cloth. BLADE MATERIAL: Devin Thomas Stainless Raindrop Pattern Damascus Steel - Blade Thickness 0.140"